Show previously known as "Hot Zone". 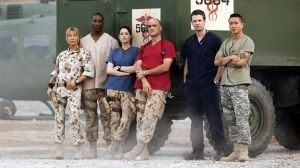 Set in 2006 at the only military hospital that provided surgical care for all of Southern Afghanistan, this medical procedural will show the lives of the resident doctors and nurses from Canada, America, the U.K. and other allied countries as they try to navigate the operating table and the conflicts that surround them constantly. Director: Iain B. MacDonald Writer: Jinder Oujla-Chalmers & Douglas Steinberg and Daniel Petrie Jr. 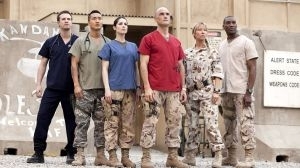 It's 2006: Major Rebecca Gordon, a highly-trained trauma surgeon, and Captain Bobby Trang, a brand-new doctor, report for duty at the NATO Role 3 Multinational Medical Unit at Kandahar Airfield. Perched at the edge of the airfield and built out of plywood and canvas held together with duct tape, the temporary building that houses the Role 3 shakes every time a plane takes off. The hospital's commander, Colonel Xavier Marks, tells the newcomers to expect an experience unlike any they've had before. Rebecca thinks she can handle anything, while Bobby is acutely conscious of his inexperience. They both get off to a rocky start, as Colonel Marks points out Rebecca's mistakes and tries to build Bobby's confidence. But over the next 48 hours, as they deal with rocket attacks, flying shrapnel and wave after wave of injured and wounded U.S. Marines, Canadian soldiers, Afghan civilians and even a Taliban prisoner, they manage to rise to the challenge, even as they grow more and more exhausted. Welcome to Kandahar, indeed. Rebecca is nearly run over by a pick-up truck full of Afghan National Army soldiers heading for the hospital. Their leader -- who turns out to be an American Special Forces operative -- carries in one of his men, delirious with a serious infection, one that neither Rebecca nor Bobby have encountered before. When another patient comes down with the same infection, the team realize they're dealing with a highly contagious and resistant bacterial strain, with no idea what it is, where it came from or how to stop it from spreading. 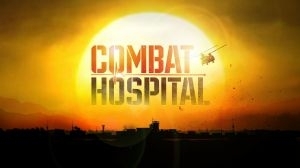 Colonel Marks is left with no choice but to quarantine the OR, ICU and the recovery room, so that the Role 3 medics are forced to do surgery in the dining hall. Meanwhile, Rebecca accompanies Pedersen off base to the Women's Clinic, where they find a local in dire need of emergency life-saving surgery. Rebecca depletes the hospital's blood supply while she and Bobby operate, and Colonel Marks is forced to call for a walking blood bank; Simon rekindles and old relationship; Rebecca is appointed morale officer; Vans finds a new talent. Simon hitches a helicopter ride to his farm, Rebecca must perform emergency neurosurgery on a patient, Bobby and Pedersen try to help an Air Force officer with his insomnia. Members of a wedding party are injured when they are caught in Taliban crossfire. Rebecca searches for the missing bride. Marks is impressed with Bobby. Seven injured soldiers anxiously anticipate the arrival of their lucky charm, 19-year-old Pvt. Henry Flax; Rebecca makes a confession to Simon. A soldier dies after Rebecca refuses him treatment, causing her to second-guess her decision. Bobby makes a decision that creates controversy between the doctors and nurses. One of Vans' friends comes under suspicion when he is injured by a bomb. An Army chaplain is forced to deal with her lapse of faith when she is ordered to hold vigil with Simon during a surgery. A prank gone wrong reveals Simon's painful past; Pedersen must question children about a suicide bomber. 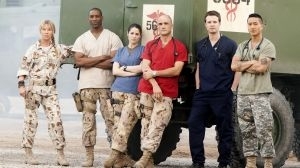 Rebecca takes control of triage when an explosion injures Colonel Marks. An attack on the women's clinic takes its toll; the Role 3 hospital contends with significant losses while fighting to save a wounded assailant's life. August 16th 2011 Rated by helis. August 16th 2011 Series added by helis.